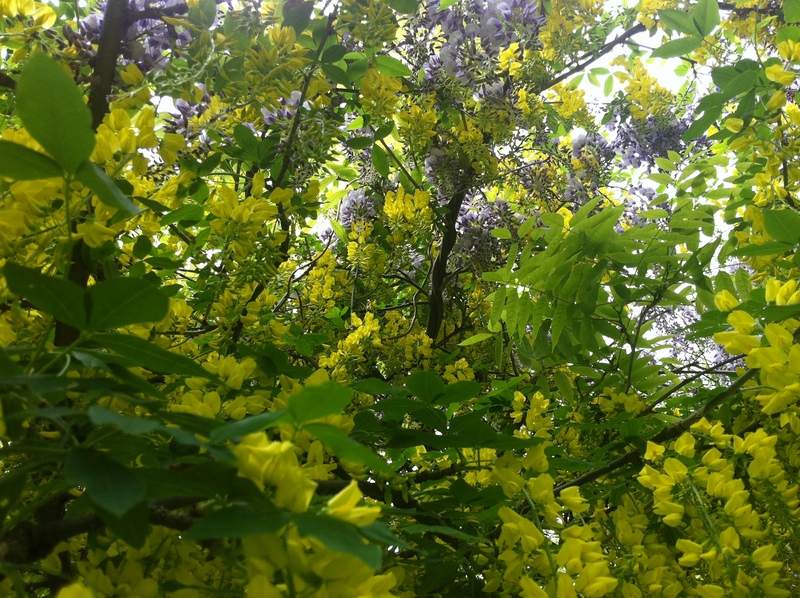 Wisteria growing up through a laburnum tree. Not taken at the plot but in our gardens at the weekend. Sorry about late reply David. The flowers have pretty much gone now but yes, it’s been lovely especially given all the very grey days we’ve had of late.